Cathay Pacific engages Qantas-Jetstar in airline weiqi. 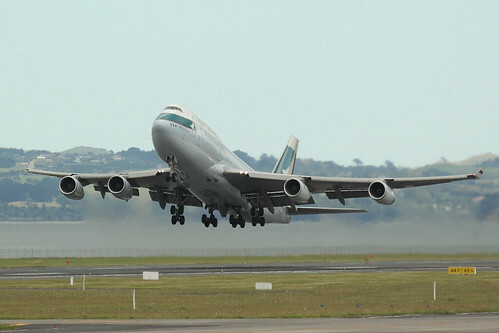 Cathay Pacific has used a submission to the Australian Competition and Consumer Commission (ACCC) to publicly reveal its stance to the Qantas/China Eastern establishment of a Jetstar Hong Kong subsidiary. Cathay has been biding its time in indicating its position toward the establishment of Jetstar Hong Kong. Rather than publically lambaste the opposition, Cathay has veiled its opposition in a response to Qantas’ application for greater pan-Asian cooperation with subsidiary Jetstar. Cathay Pacific and sister carrier Dragonair, have spent decades developing a formidable operation at their HK hub carried on the back of Hong Kong and China’s booming economies. Supported by an unquestionably good product, multiple daily services to almost every destination they serve, and significant versatility in the way they use their fleet. Cathay CEO Slosar makes it clear “we compete with multiple low cost brands every day,” and any challenge to this dominance is not taken lightly. It is also possible that conditions may be imposed on any approval given in Hong Kong. Accordingly, it may be difficult for the ACCC to authorise the proposed conduct in relation to Hong Kong if it is unclear whether Jetstar will be give approval to operate flights within Hong Kong. The statement highlights the sway over relationships that Cathay has spent years developing right up to the top levels of the Hong Kong Government, and indeed, throughout Asia. Any Jetstar operation in Hong Kong will require a change of Hong Kong’s constitution, and Cathay also knows full well that a decision on regulatory approval for Jetstar HK is unlikely to be made “made until some way through 2013”. Why did Cathay make its move? In late June, Qantas’ applied to the ACCC to cooperate more closely with Jetstar in the Japan, Singapore and Vietnam markets. Qantas is requesting to coordinate various business and operational functions between Qantas and all Jetstar Airways carriers; and also between Japan Airlines, Vietnam Airlines and China Eastern and their respective Jetstar subsidiaries. Without approval of the the agreement, Qantas says its pan-Asian expansion will be under threat. The carriers have never had what one would described as a close relationship, and Australian anti-competition laws forbid them from cooperating on services between Australia and Hong Kong. Slosar, denies that a Jetstar HK subsidiary will strain the carrier’s relationship with parent Qantas. His recent referral to the fact that “alliances always have certain overlaps” was certainly an attempt to smooth the waters, although Cathay’s subsequent strategic play has reinforced the limits of any relationship. Qantas’ original application suggested that “When a LCC enters a market, all competitors (FSAs and LCCs) are forced to innovate in order to remain competitive. That is, LCCs force FSAs to re-think long standing business practices and competitive responses”. In the case of Hong Kong, why is Qantas forcing other carriers to innovate while its own “long standing business practices” remain the same? Cathay has responded by focusing on consumer interests alluding to the anti-competitive nature of the Jetstar Qantas relationship. Questioning the necessity of Qantas and Jetstar to cooperate anymore closely, as other airlines can provide the “stimulatory effect of Low-cost Carriers (LCCs), including the competitive reaction they may elicit from Full Service Airlines (FSAs)”. There is a sense of effrontery in Qantas’ suggestion that it isn’t anti-competitive for it to operate a Jetstar subsidiary in Hong Kong, and other Asian countries, in addition to closer relations with the Jetstar group as a whole. Leveraging the opportunity to force Jetstar to reveal its long-term fleet plans and allocation of aircraft across the Jetstar group, Cathay asks, “could Jetstar Hong Kong or Jetstar Japan buy or lease planes that could reach Australia? Does the Jetstar group have, or have on order, aircraft capable of reaching Australia that could be allocated?”. Seemingly unaware of the capabilities of the fleet of 15 787-8s (delivery from 2013), and over 70 A320NEOs (delivery from 2016/17) Jetstar has on order. Qantas asserts that “Jetstar Japan and Jetstar Hong Kong cannot offer services to or from Australia because they do not have the aircraft that is necessary to make travel over such distances economically or practically viable”. The 787-8’s 14,000km range puts all of Australia well within range, and the A320NEO is capable of reaching almost one-third of Australia including Jetstar’s Darwin hub, and Perth. Henry Kissinger enthuses that in war “Chinese ideals have long stressed subtlety, indirection, and the patient accumulation of relative advantage”. In what is likely to become a patient contest of relative gain and long-range encirclement, Cathay has made its first very deliberate and subtle move.